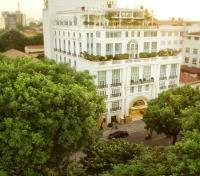 Walk in Ho Chi Minh’s footsteps and experience the French colonial influence of Hanoi and Ho Chi Minh City on private tours. 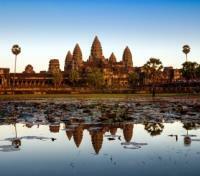 Explore Angkor Wat and the Roluos temples of Siem Reap in Cambodia. 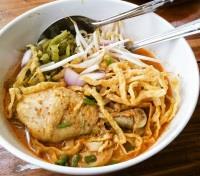 Try your hand at traditional Lanna cuisine with a local family in Chiang Mai. 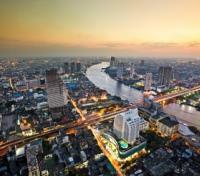 Get an insider’s glimpse of Bangkok from the deck of a longtail boat. Southeast Asia is a compelling part of the world, perhaps best known for its blindsidingly beautiful scenery, friendly people, and spicy food. But once you adjust to its obvious surface appeal, it starts to reveal its true self a layer at a time. 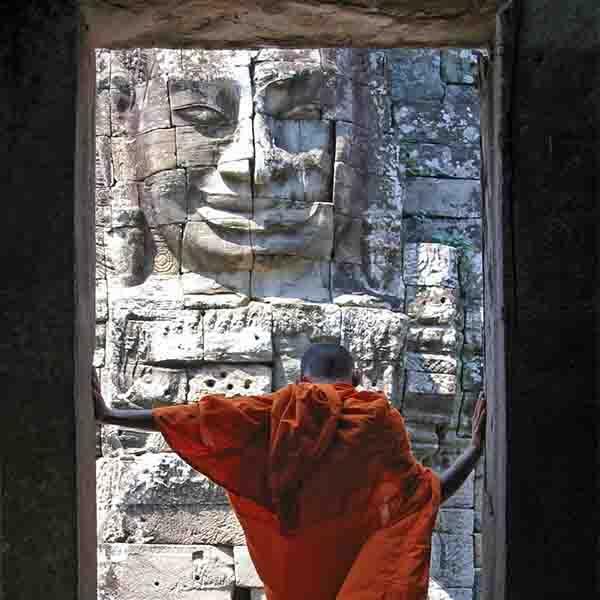 Shaped by Buddhist tradition, colonial influence, and a quiet-yet-determined resilience, the understated magic of Vietnam, Cambodia, and Thailand rewards those who go looking for it. A museum exhibit can only scratch the surface; to really understand it, you must experience it – walk the streets, elbow your way through the markets, center yourself in a golden temple, feel the breeze of the bay in your hair, gaze into the eyes of an elephant. Once you feel it, you’ll know. And you’ll never be the same. This compelling best-selling trip taps into that feeling at every turn. In Hanoi, you’ll receive a full appreciation for Ho Chi Minh, the Vietnamese revolutionary turned folk hero, on a revealing look into his life and a private tour of the French colonial atmosphere of the city that shaped him. 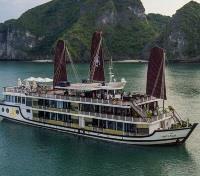 Later, take a cruise around beautiful UNESCO World Heritage Site Halong Bay and then learn about the fascinating history of Ho Chi Minh City on a range of curated tours that focus on historic architecture, wartime history, and enjoying the unexpected-but-vibrant craft beer culture in the city. 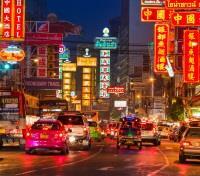 Last stop: bustling Bangkok. Here, you’ll discover the culinary delights and vibrant atmosphere of the city’s 200-year-old Chinatown at night, then explore the quiet temples and canal-like klongs (the latter via longtail boat) on an eye-opening full-day tour. Discover a selection of Hanoi’s top highlights as you set out with a private guide to explore Ho Chi Minh’s Mausoleum and the museum named in his honor (please note, the museum is closed Monday and Friday, afternoons, and from September to November). The mausoleum was designed and built as a final resting spot for the remains of this local icon who was a pivotal leader in Vietnam’s revolutionary struggle against foreign powers. You’ll also visit his former residence, known as the house on stilts, where the essence of his humble lifestyle can still be felt. Near the mausoleum is One Pillar Pagoda. Commissioned by King Ly Thai To in 1049, this structure has become an important symbol for the people of Hanoi and is certainly a must-see site while in the city. 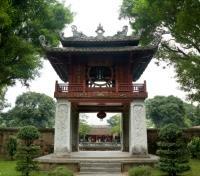 Finally, you will visit the Temple of Literature, built in 1076. This - Vietnam’s first university – was established within this temple to educate Vietnam's royalty, mandarins and members of the elite. The university functioned for 700 years and its gardens and well-preserved architecture offer a fascinating glimpse into Vietnam’s past. 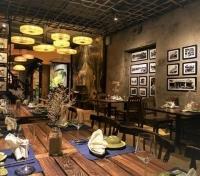 After a few hours spent discovering Hanoi’s key sights, you will be returned to your hotel. Inspired by the traditional way of cooking Northern Vietnamese cuisine, Grandma’s Restaurant is a recollection of Hanoi’s rustic past and its surrounding provinces, a homey yet elegant feeling that everyone can experience right in the heart of Hanoi's Old Quarter. Relive the glorious past and discover the unique flavors of the Northern Vietnamese cuisine, prepared with passion and served with much love, only at Grandma’s Restaurant. Please note: Drinks are not included and must be paid for on-site. 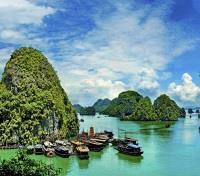 You will be privately transferred from Hanoi to Halong Bay by a professional driver and an English-speaking guide. Approximate travel time is three hours. You will be privately transferred from Halong Bay to Hanoi Airport by a professional driver and an English-speaking guide. 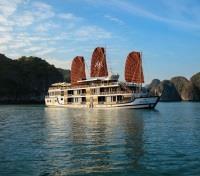 Approximate travel time varies depending on your location in the Halong Bay region, ranging from two to four hours. 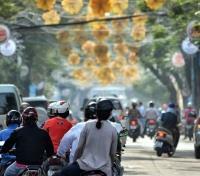 Board a flight from Hanoi with direct service to Ho Chi Minh City. Approximate flight time is two hours. 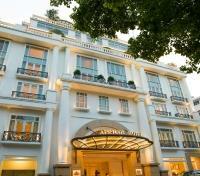 Luxury and elegance define the French-Indochina inspired design choices alluding to Vietnam’s art deco era at the unique boutique Hôtel des Arts Saigon, MGallery Collection. Centrally located in the most vibrant district of Ho Chi Minh City, the hotel is just steps away from the Notre Dame Cathedral, the Opera House, the historic Saigon Central Post office and other key tourist attractions. Elegant rooms and stately suites are reminiscent of bygone days, inviting guests to make themselves at home in style, immersed in tales of adventure, romance, history, culture and nature. 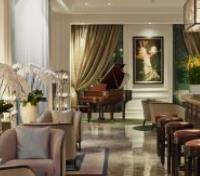 All 168 rooms are non-smoking. A stylish rooftop bar and infinity pool round out the 4 bars and restaurants, and the Spa des Artistes was the Asian winner in the World Luxury Spa Awards in 2017. The history of Ho Chi Minh City has many layers, weaving a tale of decades of external Chinese, French and American influence. After meeting your guide, you’ll set out for the Jade Emperor Pagoda, also known as Phuoc Hai and regarded as one of the most interesting pagodas in the country. 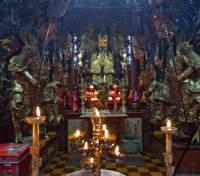 Built by the Cantonese community around the turn of the 20th century, it is still visited by worshipers. Filled with smoky incense, the pagoda features elaborately carved figurines and decorated panels of carved gilt woodwork, all dedicated to Buddhist and Taoist deities. If you only visit one pagoda in the city, this should be the one. Continue to the Reunification Palace, also known as Independence Palace, which was the former residence of the President of South Vietnam until the end of April 1975 and the Fall of Saigon. It was here that the Vietnam War ended when a North Vietnamese Army tank crashed through its gates, marking formal reunification between the two sides. Continue by car to Ben Thanh Market, a great place to shop for souvenirs, and bustling with activity, where you'll have time to barter for trinkets before returned to your hotel. 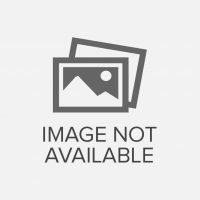 Ho Chi Minh City is a world-renowned street food destination – small street vendors line the street offering convenient and affordable meal options for locals and international travelers alike. This evening, meet your English-speaking guide and travel by motorbike through Ho Chi Minh’s residential neighborhoods to sample some of the city’s best street foods. Following a safety instruction on how to ride on the back of a bike, you will whisk away in rush hour to find and taste the best dishes, often found tucked away in small alleys, all while learning about the history and cultural significance of each dish. Later, enjoy an easy walk to take in Saigon by night to catch a glimpse of local life, and later sample your way through an introduction to Vietnams most popular staple: the street barbecue. 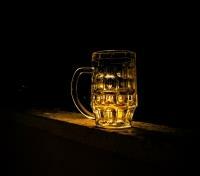 Irresistible authentic local dishes will delight, enjoyed best with a few local beers. Before the night ends, don’t forget to sit down to enjoy a sweet dessert, Vietnamese-style, and then sit back as you are returned to your hotel. 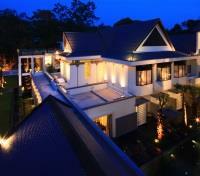 This morning, set out to discover the amazing Cu Chi Tunnels in luxury. 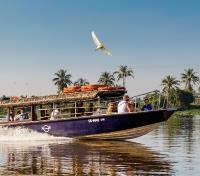 After meeting your guide and driver at in your hotel lobby, make the short transfer to the pier, board a privately chartered speedboat and journey down the Saigon River en route to Cu Chi. Arriving hours before the crowds, you’ll enjoy near exclusive access to the site as your guide shares detailed stories covering the intriguing history of the region. After exploring the maze of labyrinthine tunnels, take a break to enjoy a riverside lunch before making the return boat trip to Saigon. Upon arrival to the pier, you will be returned to your hotel. 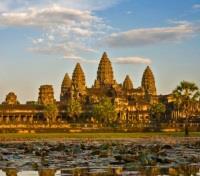 Today you will board your flight from Siem Reap to Chiang Mai, Thailand via Bangkok. To ensure a seamless experience, your guide will be waiting for you outside the secure customs area with a sign with your name on it. 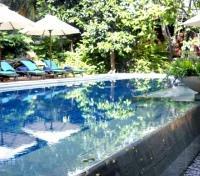 The guide will assist you in meeting up with your private driver and accompany you to your accommodation. 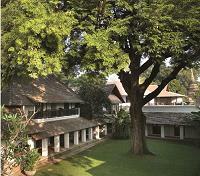 Relax in a tranquil boutique hotel setting in the center of Chiang Mai’s old city, with the comfort of a magnificent 200-year-old tamarind tree sheltering the property at the Tamarind Village. The 46 rooms and suites are designed to reflect the rich ethnic diversity of northern Thailand, drawing on fabrics and patterns from the various tribes that populate the region. Featuring award-winning elements of design, service and comfort in a serene and stylish setting, the hotel prides itself on genuine hospitality with attention to detail throughout. 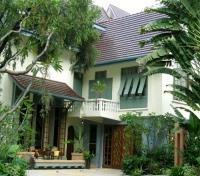 The property is set around a series of garden courtyards amidst the ancient temples and quaint shopping streets that define Chiang Mai. Enjoy a variety of mouthwatering Thai and international dishes in the stylish setting of Ruen Tamarind, providing indoor and outdoor dining in a cozy café-style restaurant. Intimate, serene and relaxing, Tamarind Village is an oasis of calm and tranquility, the perfect base for exploring Chiang Mai and beyond and ideal for guests who enjoy discovering their surroundings in the evening on foot. Head out to the countryside around Chiang Mai with your private English-speaking guide to discover the temples of Lampang and Lamphun, as well as a moving visit to the FAE Elephant Hospital, the world’s first elephant hospital, founded in 1993. The elephants here are long-term patients recovering from injuries sustained in the logging trade or in the wild, and the rehabilitative care they receive here is unique to the region. Continue to Lampang, stopping to browse for the famous Lampang ceramics and a snack at the Kaad Thung Kwain Market. Discover the magnificent Lanna architecture of Temple Wat Phra That Lampang Luang, a unique place in Thailand where horse-drawn carriages are still used as public transportation at the temple. Enjoy lunch at a riverside restaurant, and continue to Lamphun to visit the dazzling temple complex of Wat Phra That Hariphunchai, a temple that is considered an important pilgrimage site for Buddhists, especially for those born in the Year of the Rooster. If time permits on the way back to city, a stop can be made at Baan Tawai, a village on the outskirts of Chiang Mai that has gained a reputation as the best place to shop for handicrafts, particularly wood carvings. 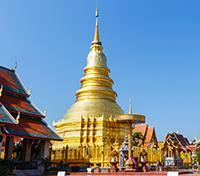 Board a flight from Chiang Mai with direct service to Bangkok. Approximate flight time is 1 hour. Constructed in 1942 as a private home during World War II, the Ariyasom Villa is still owned by the family of the original people who built it, creating both historical significance and a very caring attitude towards the guests that step inside. 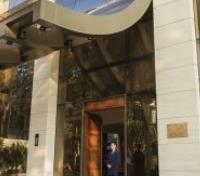 Originally constructed in the outskirts of the city, the hotel has found itself in the heart of the Central Business District due to the massive expansion of Bangkok. The hotel is situated just 30 minutes from Suvarnabhumi International Airport and is also located close to the Bangkok Skytrain and Bumrungrad International Hospital. Instilling a real sense of bygone Bangkok, the rooms are adorned with original artwork, Thai silk drapes, and equipped with charming bathrooms. Furthermore, based on a mainly vegetarian menu, with some seafood, Na Aroon Restaurant exudes a wonderful old Thai vibe that features a philosophy of healthiness and organic living. 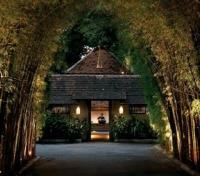 With a successful attempt at delivering an authentic Thai experience, the Ariyasom Villa also provides the Som Sen Spa, adjacent to the swimming pool which completes the perfect Bangkok stay. 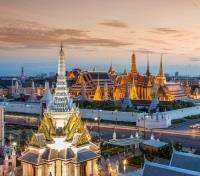 Bangkok is a city of contrasts - Buddhist temples, golden topped palaces, trendy sky bars, and traditional Thai living along the waterways - called khlongs - offering marvelous photo opportunities. 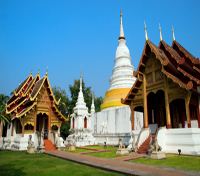 This morning, head with your private guide to the historic center of Bangkok and start your day at Wat Suthat. Few visitors come to this temple early, so much the better to enjoy the monks melodic chanting ritual. It’s an incredible sensory experience. Then, a walk to Wat Pho (famous for its 141-foot-long reclining Buddha) takes you through small alleys with wooden houses, guardian spirit signs and lively fruit and flower markets. Pause at Lak Muang, Bangkok’s city pillar, well worth a five-minute detour before heading to the iconic Grand Palace and the adjacent Wat Phra Kaew, the Temple of the Emerald Buddha. By now it’s time to enjoy a leisurely lunch and take in the awe-inspiring views at the riverside Sala Rattanakosin restaurant and experience the mid-day bustling atmosphere of the lively Chao River. But you haven’t really arrived in Bangkok until you get out onto the river itself on a Long Tail Boat ride. So, after lunch, come and explore the khlongs and be amazed by the constantly changing sights, from Thai wooden houses on stilts to the many boats with sellers offering everything from fruit to souvenirs. Your day ends with a visit to Wat Arun, the Temple of Dawn. Unique from the rest of Bangkok’s temples, its stunning design is made up of colorfully decorated spires and looks to stand guard over the river. Your guide can take you back to your hotel, or you might decide to stay and watch the sunset over Wat Arun from one of the rooftop bars across the river.